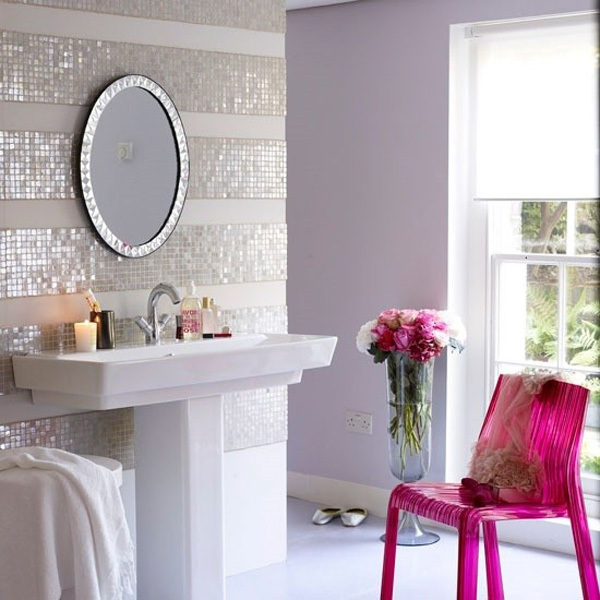 Want to make your bathroom design more interesting? Stripes are a way to go. 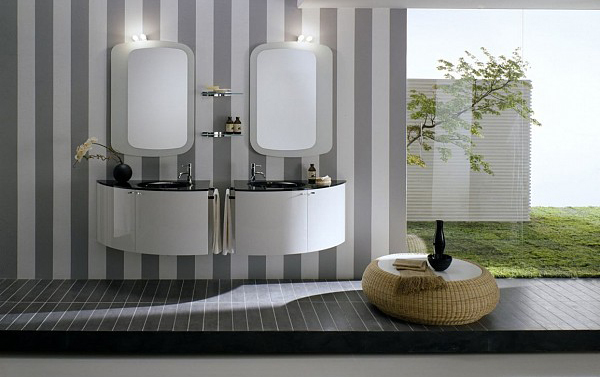 Stripes look great in almost any color scheme and size. 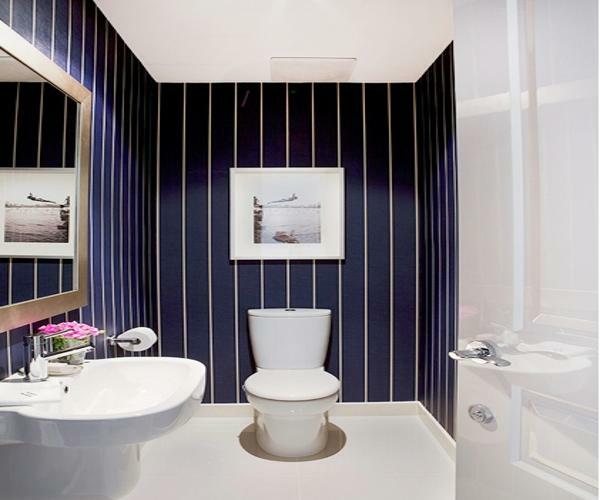 From barcode stripes to rare wide stripes the pattern can also visually correct the space making cilings look higher or the rooms appear wider. 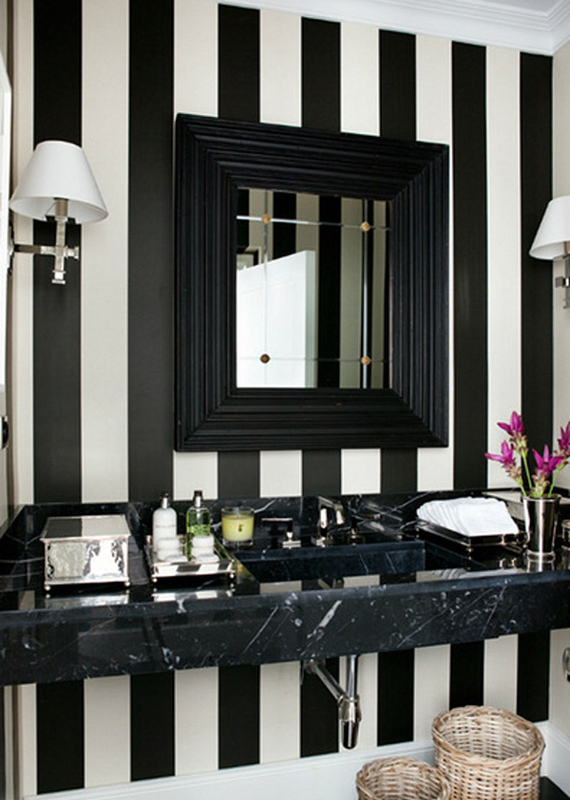 Paint is an inexpensive way to add dynamic to the bathroom design. Execution is important but the result is promising. The quality paint can last long enough and can be easily replaced with a whole new color prompting a manageable makeover. Wallpaper is a more expensive an option of creating stripes but the pattern is ready-made so it just needs to be installed properly. 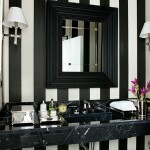 The wallpaper in the bathroom makes for luxurious look while the stripe pattern adds playfulness to the design. 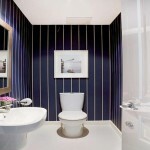 It is an interesting combination and there are various designs of striped wallpaper to choose from on the market. 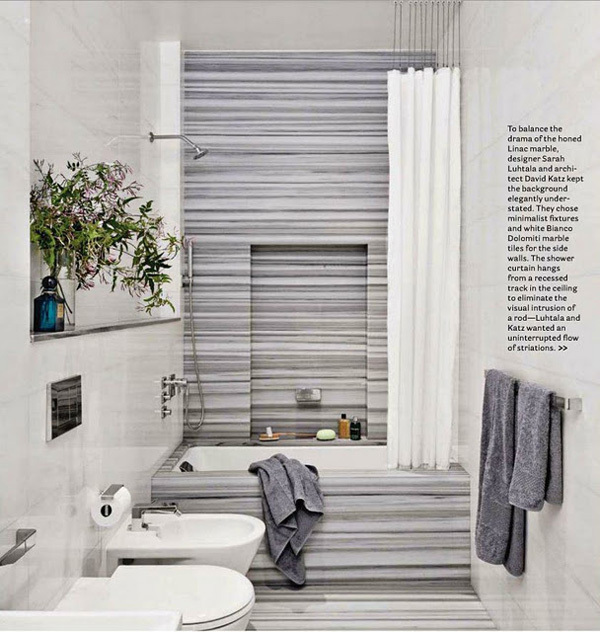 Creating stripes with tiles can prove more durable but harder to install and generally more expensive. 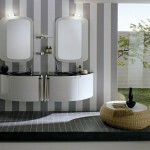 The stripes can be rare, different-sized, monochromatic or colorful. 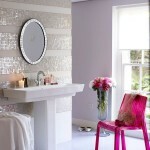 Different kinds of tile can be used to create a striped pattern including decorative mosaic tile.